Seldom has there been a novel I've been quite so disappointed in. As a general rule, I adore Steven Brust's Vlad Taltos novels (see here), but I haven't read any of his standalone work (minus his Firefly fanfic novel). 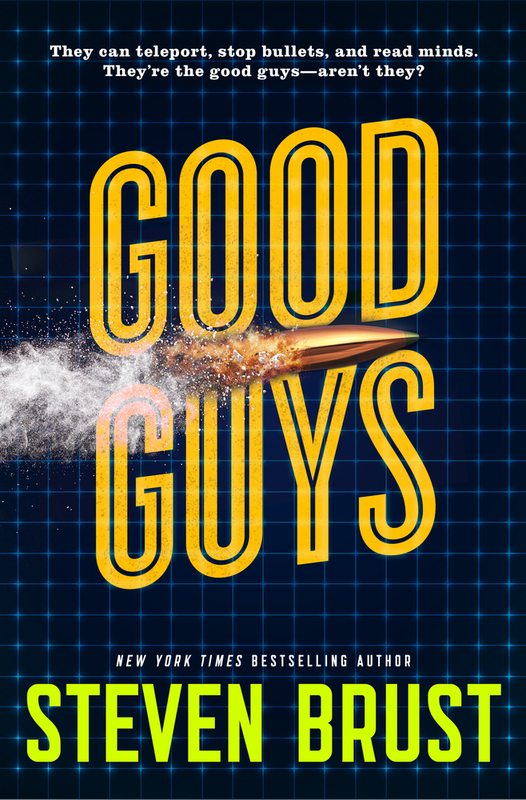 Good Guys is his first solo standalone novel in twenty years, or so the book publicity told me. I was so excited for this book. Then I read the description. Then I read the book. It's my fault, really. I was more hyped to see what Brust would do outside of Vlad Taltos than I was to read this particular book - because just based on the description of low rent / low budget magic copies (and Brust's particualr wit), this didn't sound all that great. Brust's name was the selling point. As much as I love Brust's voice and wit, the jokes here didn't land and the story itself wasn't as well executed or as interesting as I'd like. 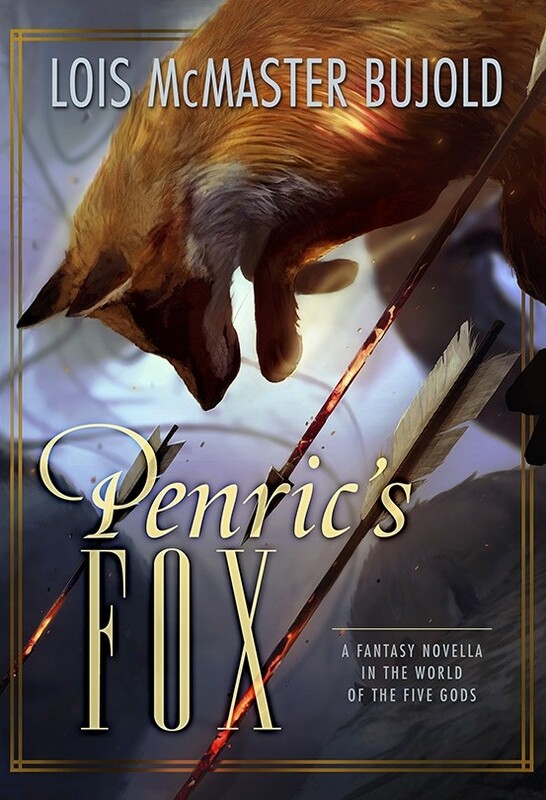 Penric's Fox is the fifth published and third chronological novella in the Penric and Desdemona mini series. It is also part of the larger Chalion / Five Gods universe, but no knowledge of those novels is required. The joy of this series is the interplay between Penric and his indwelling demon Desdemona. I'm not willing to go so far as to say that the story doesn't matter, but we know Bujold can tell a fantastic and compelling story and she does so here. It's the characters that are vital and that are the hooks to keep us reading. We want more of Penric and more of Desdemona. This is as good as any of the previous four novellas, and that means it is good indeed. Have you ever read a book and midway through you're actively angry at yourself for not reading it sooner? That was me after maybe twenty pages of The Black Tides of Heaven. By the end of the book my jaw was on the floor in amazement at just how spectacular this novella is. Told over the course of more than thirty years, The Black Tides of Heaven is not quite the story of revolution, but it is more a story of politics, of family, of personal choice, with a bit of revolution in the mix. All of that, and more, is woven together to something that is far superior than any facile description I could possibly give. I'm not sure I am up to the task of properly reviewing thie novella. 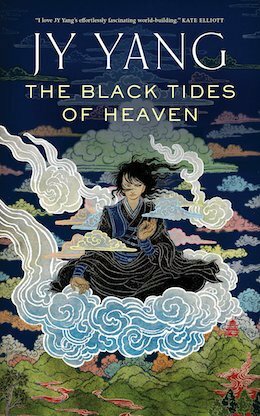 I can only give The Black Tides of Heaven my highest possible recommendation. POSTED BY: Joe Sherry - Co-editor of Nerds of a Feather, 2017 / 2018 Hugo Award Finalist for Best Fanzine. Writer / Editor of the mostly defunct Adventures in Reading since 2004. Minnesotan.